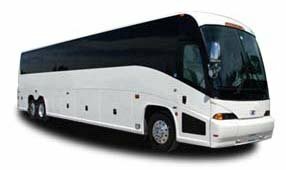 Boston Charter Bus Company charters a variety of bus types designed for groups of any type. We’ll help you choose the perfect bus or fleet of buses for your sports team, student group, wedding guests, corporate convention attendees, or friends and family. Not sure which bus is best for you? Trust our experienced reservation specialists to find the best coach for you at the best price. Call our 24-hour team today at 617-314-7577 to receive a free, no-obligation quote for your trip!